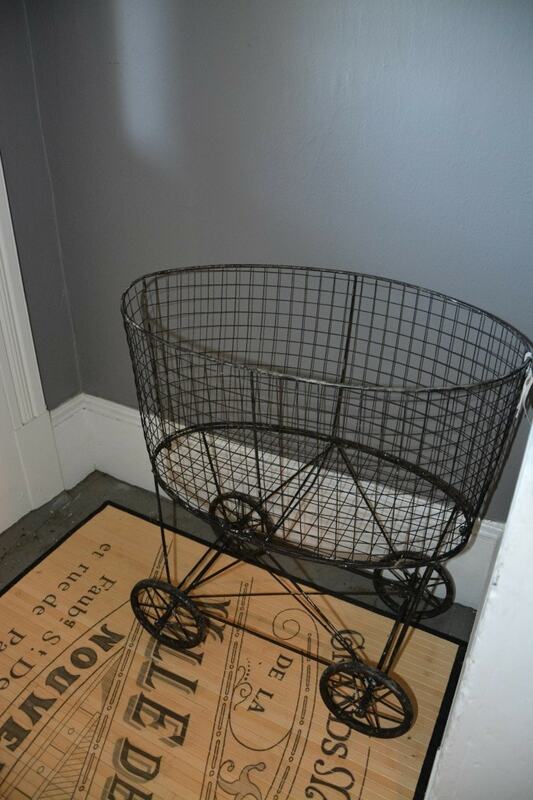 You are here: Home / Thrift Talk / Thrift Haul / Vintage Furniture GALORE! I feel like the biggest dweeb. I’m always the last to know everything! Things that are right under my nose….things that are right in my backyard….I’m often clueless. So imagine my surprise, embarrassment, and utter sense of WONDER when I was invited last weekend to the Hometalk Halloween Treasure Hunt at four AH-MAY-ZING vintage tag sales that are located RIGHT.IN.MY.BACKYARD! Well, okay, not exactly my backyard, but close enough that I should have known these places existed! The Vintage Hunt is ON! 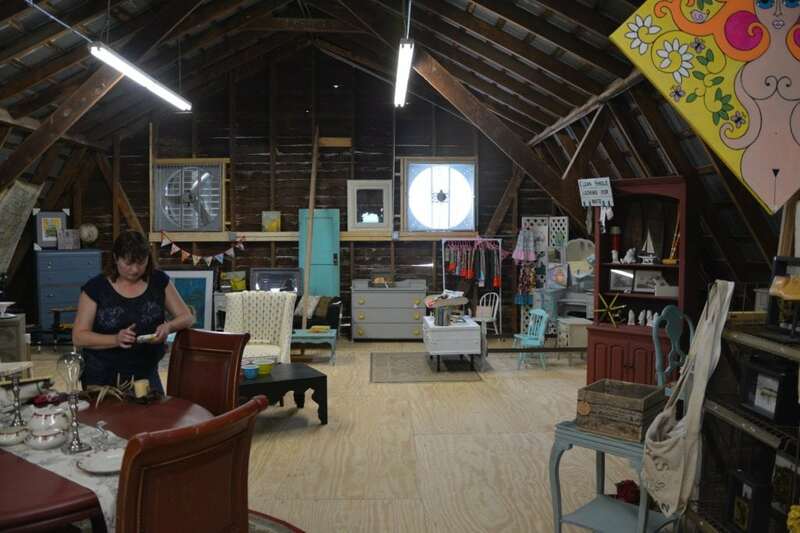 Yep, THIS….my friends…is an actual barn where the coolest vintage furniture, collectables, trinkets, etc., are sold. What a pot of gold! 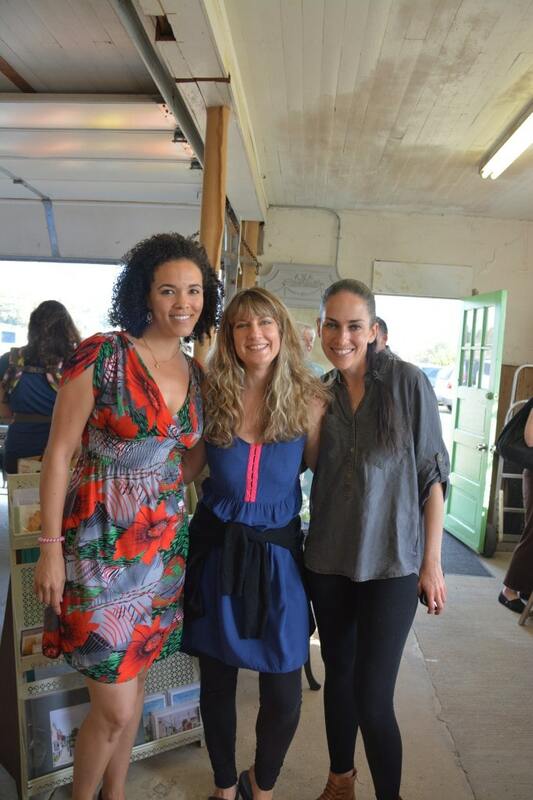 Thanks to my new friend, Karen from The Graphics Fairy,(middle) who had invited me to participate, and one of the other hosts, Miriam (right), the social media guru behind the popular site, Hometalk. (Connect me with there, by the way!). Without those ladies, I would never have known those places existed! 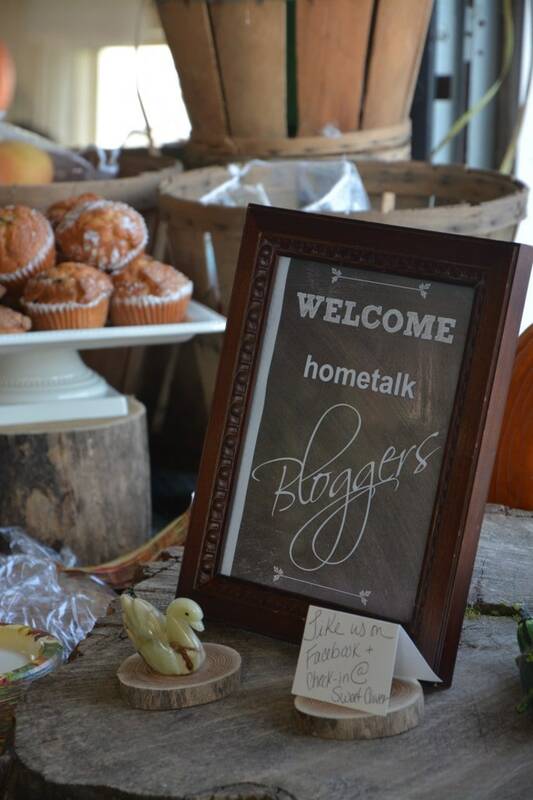 We bloggers felt very welcomed with breakfast and a “Welcome” sign! 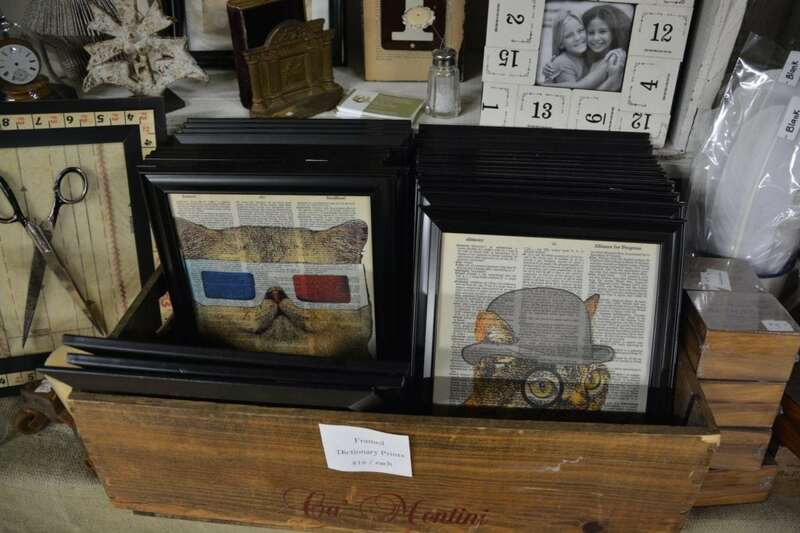 First, let me just say that THE coolest vintage stuff is there in Frederick, Maryland and Leesburg, Virginia. Seriously. If you live anywhere close to here, you MUST come see these shops for yourself. Plan for a whole day. There is so much stuff, so many trinkets and unique items, you won’t believe it. Okay, here are some highlights of my vintage treasure hunt! To see the whole album, check out the Google+ album with over 200 pics! 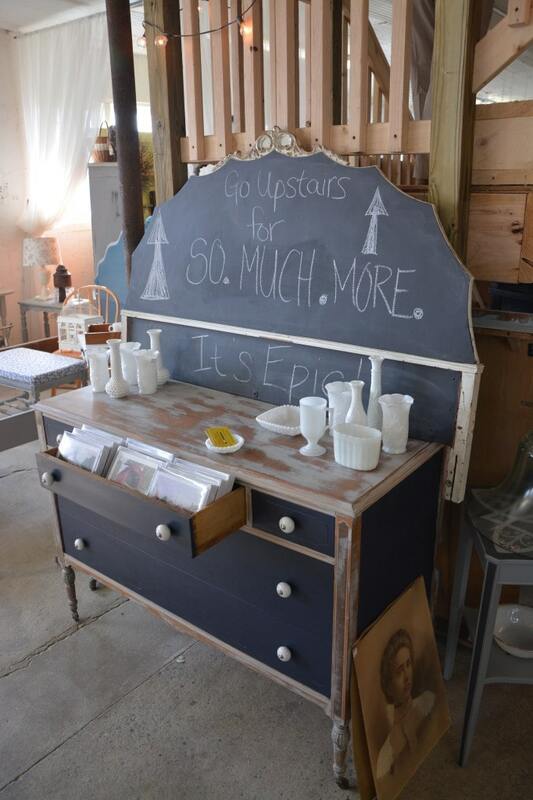 And I just have this love of DRAWERS. Little places to store your crafting stuff is just what I love! 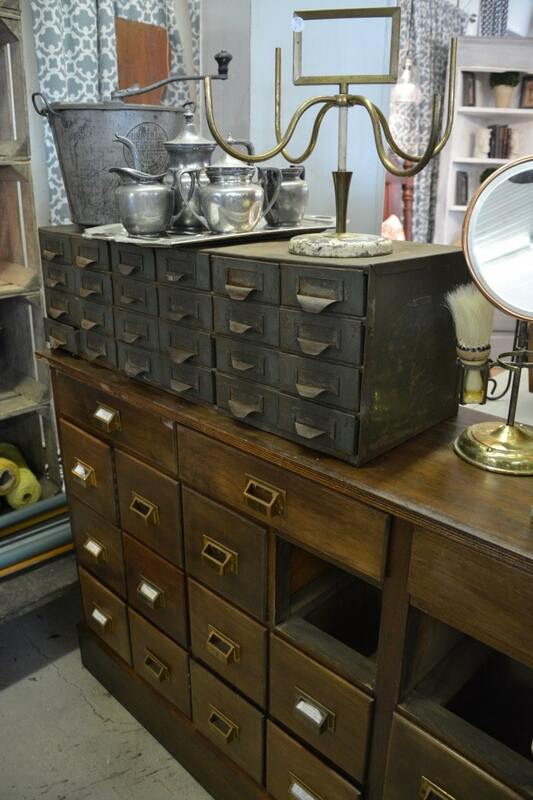 Remember this card catalog makeover I did? See the Google+ album for more pics of what I saw! So another of the shops we were to visit is a place called the Old Luckett’s Store. Um…..WOW….It sort of reminded me of the Community Forklift, this place here in Maryland that is what I call “a junk yard for your home.” Community Forklift sells cool things like reclaimed wood, metals, tiles, vintage door knobs, cabinets–nearly anything that people have donated from old homes or remodeling projects.That’s what Luckett’s reminded me of, with the added bonus of vintage furniture. 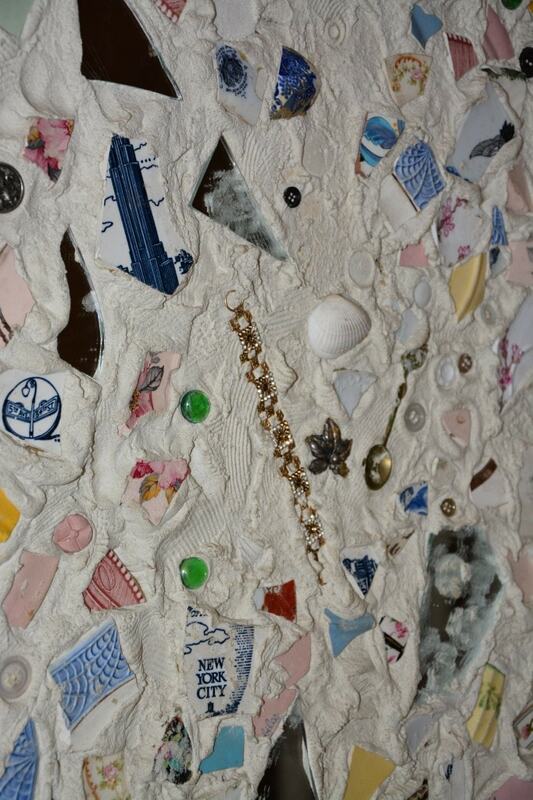 Here’s something I’ve never seen before: one of their hallways is a treasure wall. When you get close up, what do you see? Another stop off was to a place called Chartreuse. This place was also one of my favorites (heck, they were ALL great!). 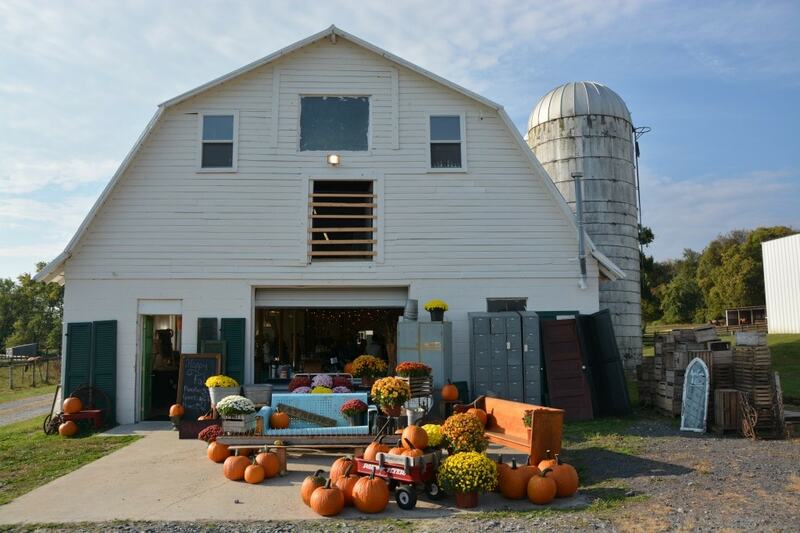 They had a huge barn, as well, filled with painted furniture, plus all kinds of trinkets, antiques, and upcycled creations from local artists. One thing I noticed, however, is that many artists are not painting the back of their furniture. 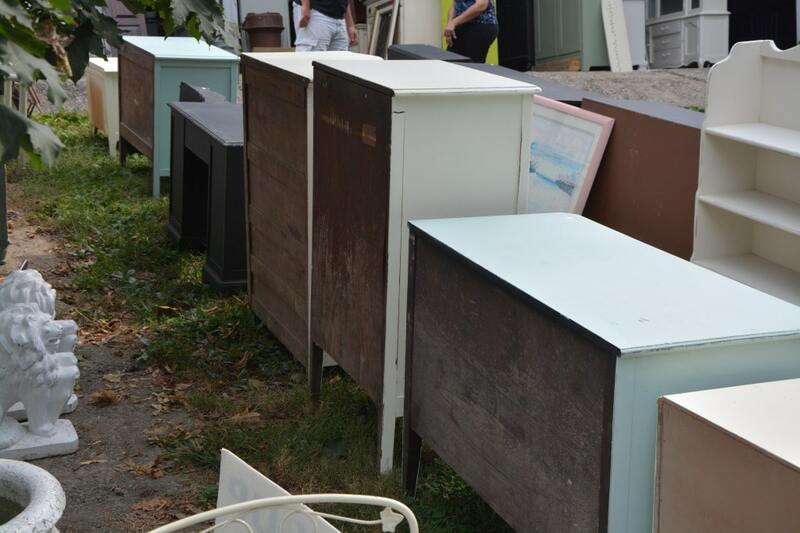 Please, please, please paint the backs of your furniture if you’re selling your pieces! I think it just looks more attractive and professional 🙂 Don’t you? It hurts my eyes to see a pretty piece of furniture turn around, only to see–GASP!–old wood! 🙂 I know…I know….wasted paint. But it looks much prettier all painted, even the bottom! I’m just weird like that. And they had this place called The Design House, where local designers each had a room and decorated it. 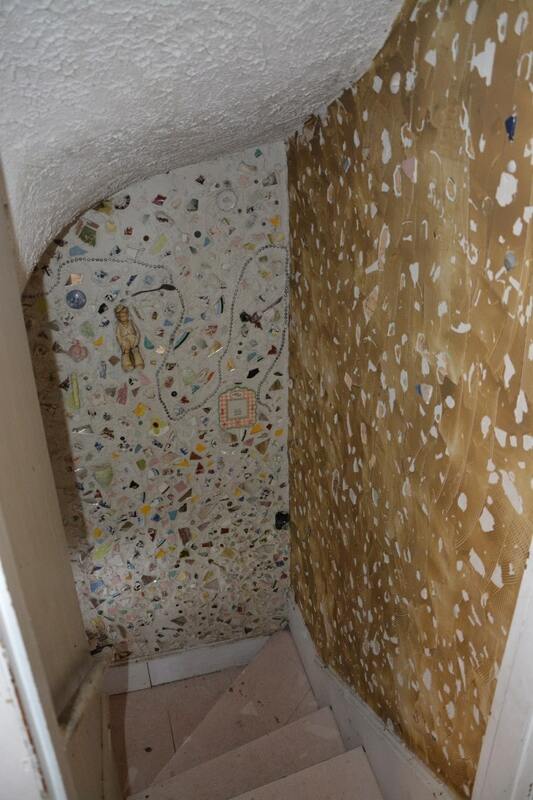 However, everything in the room was for sale. So What Did I Find?? I really was rolling with VERY little money that day. In fact, I was spending money that was slated for bills. OOPS! So I couldn’t get any big ticket items. 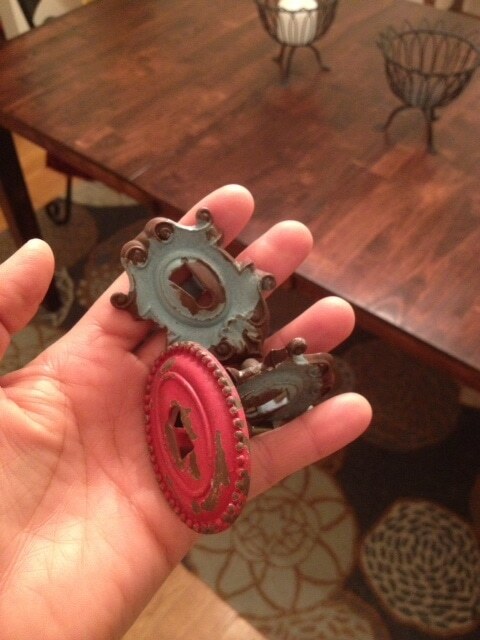 However, I did score these awesome Old World glass knobs! Seriously, aren’t they fantastic?? They were $6.00 a piece and I scored 6 of them. When you hold them up to the light, they look like they glow and the maps appear to “move.” A great find that I could envision on a piece of furniture for my boys! I found some other great knobs, but for some reason, can’t get the pic to upload. Grrrr. 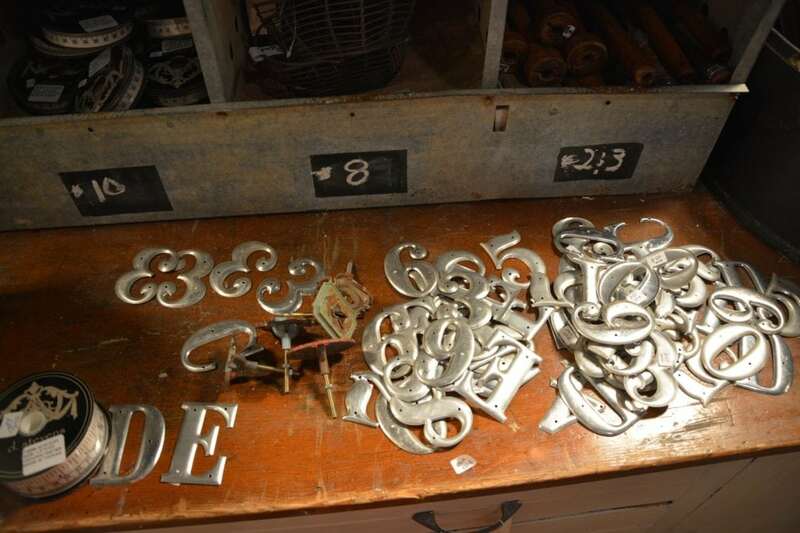 And I found these cool tin letters and numbers! I’m excited to do something with them! There were $0.50 each. I bought about 25 of them! These keyholes?? They’re actually drawer pulls! WOOT Love them! About $7.00 each. 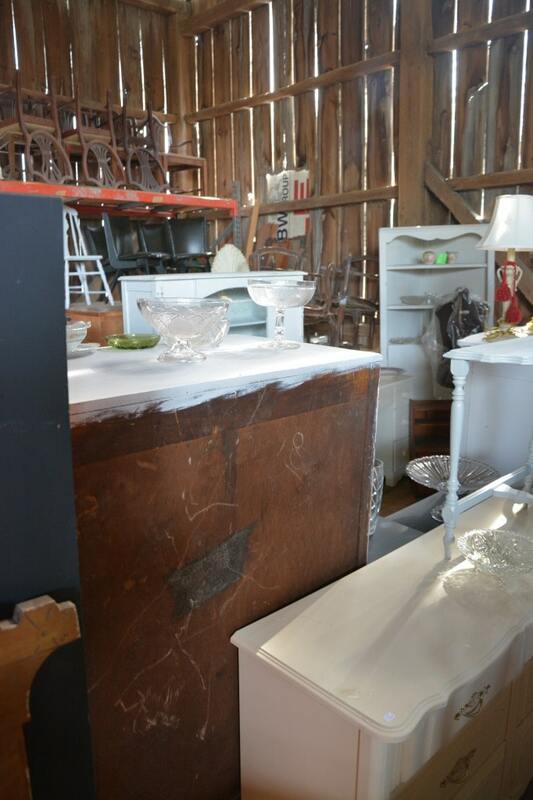 The painted furniture was reasonably priced, but most of the unique vintage trinkets I found–out of my budget. 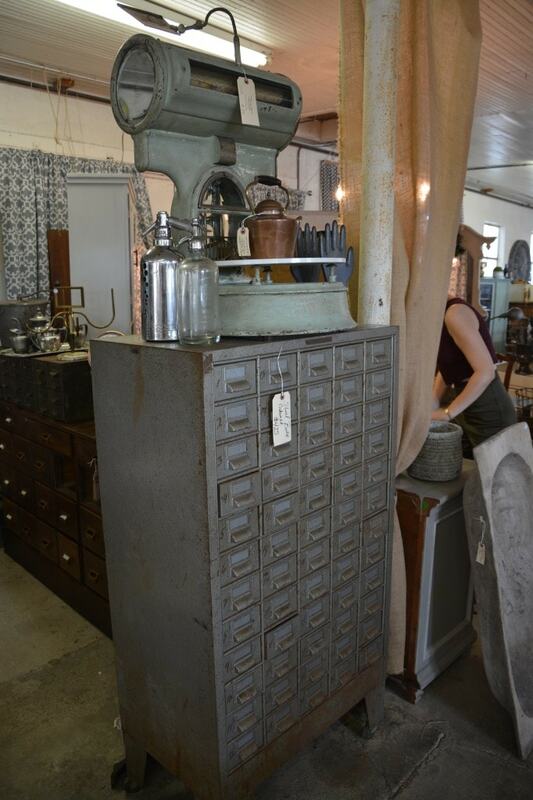 I saw soooo many cute vintage drawers and “card catalog-ist” dressers, and was tempted buy them. But I just couldn’t afford it. Maybe I’ll get lucky and find an authentic metal one at the thrift store ;). 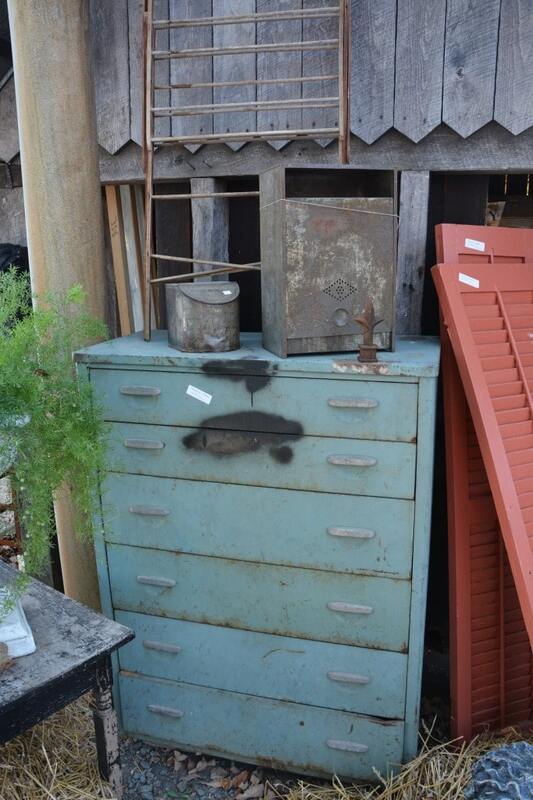 I absolutely loved this turquoise metal chest! I could imagine it in my garage that I’m about to make over! It was almost $200. This artist was super great. Check out these dictionary pages with art drawn on them! How cool is that?! This desk reminds me of the vintage leather-top desk that I painted for my mom for Mother’s Day earlier this year. Each seller’s booth has so many things to just walk around and look at all day. I Still Love Me a Good Thrift Store, Though! What’s even funnier is that after I left the Vintage Halloween Hunt, I was itching to find some really cheap deals, so I headed over to my favorite thrift store and–oh my–what did I see? A $15 bench! WOO HOO! I swooped that baby right up 🙂 I’ll be posting that soon. So now I have to take the knobs and numbers and anything else I found and use them as creatively as I can in a project, and then link it up over at the Hometalk Halloween Treasure Hunt linky party and see who win’s the GRAND PRIZE. Hmmm….somehow I don’t know if I am going to be creative enough in this challenge. But let’s see what I can turn out! 🙂 Wish me luck! Do you see anything here you would have bought IN A HEARTBEAT? Leave a comment below! P.S. Don’t forget to check out the Google+ album to see all 200 pics of the stuff I saw that day! « My Thrift Hauls at the Value Village and Unique Thrift! Great Blog! I don’t believe how creatively you use so many things to give it a vintage look. Thanks for sharing such amazing ideas! 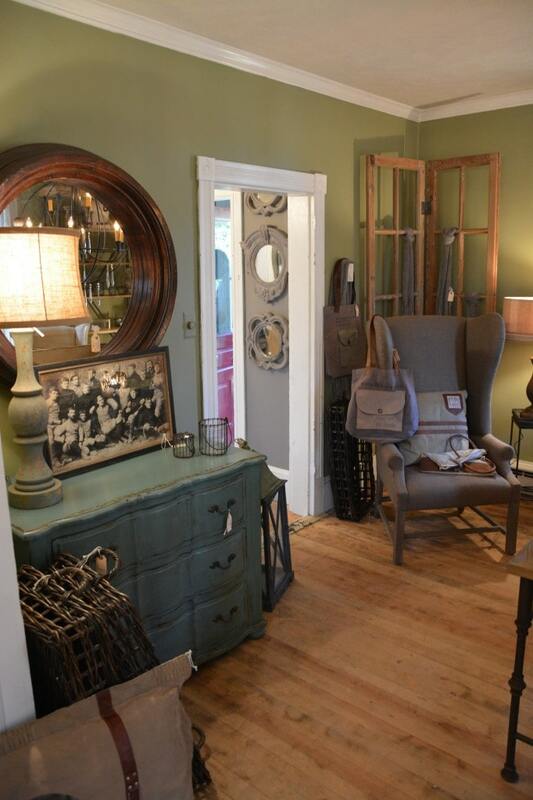 You missed a great vintage shop in Poolesville, MD called The Blue Hearth. 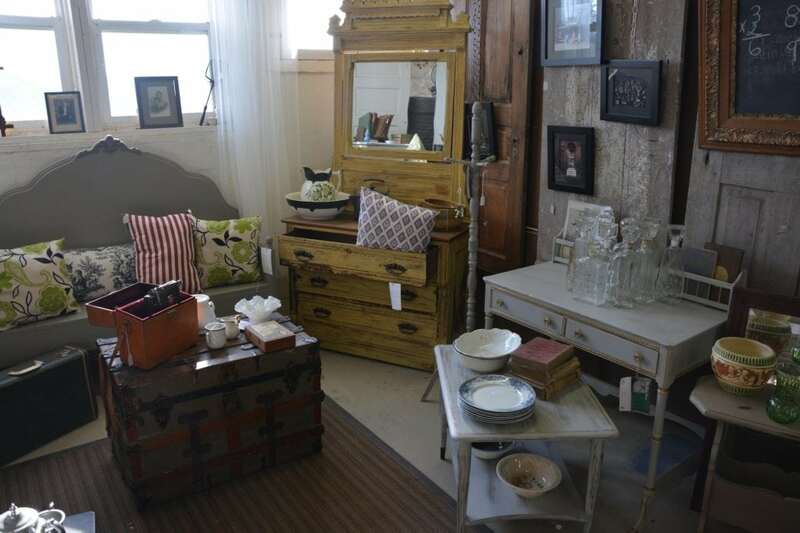 It’s open the first weekend of the month and has great prices on all sorts of great vintage finds. Check out their Facebook page for directions. It’s worth the trip. thank you thank you thank you for coming and for such a great right up! the link party ends tomorrow, so don’t forget to link up!!! Serena thanks so much for coming to our event! We were so happy to have you! And thank you for the fun and enthusiastic review! 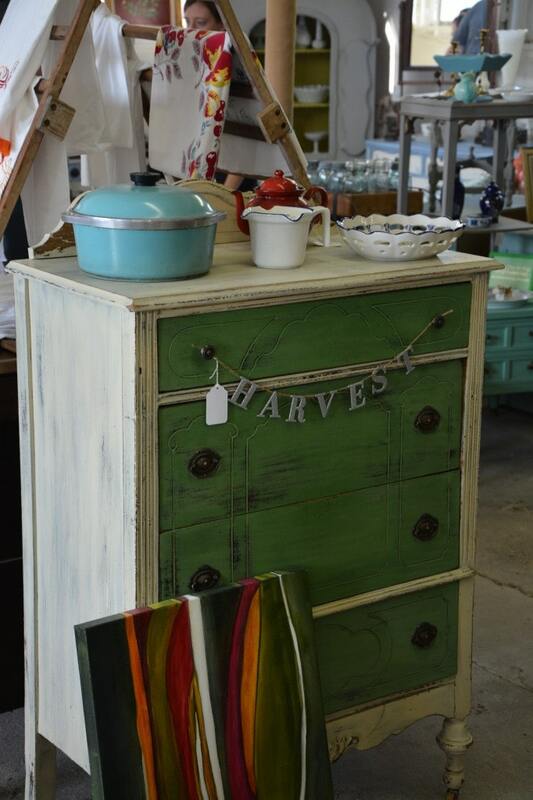 ( I am partial because I painted that first green and cream dresser 😉 I think I saw you back at Sweet Clover this weekend as well??? Thanks for being a new loyal customer! Hey there, Sarah! Yes, you saw me again this weekend 🙂 I had told my friend about you guys and she was itching to come check it out. You did a great job on that dresser! 🙂 You know I’ll definitely tell as many people as I can about you all. You have a great place! Great post Serena. 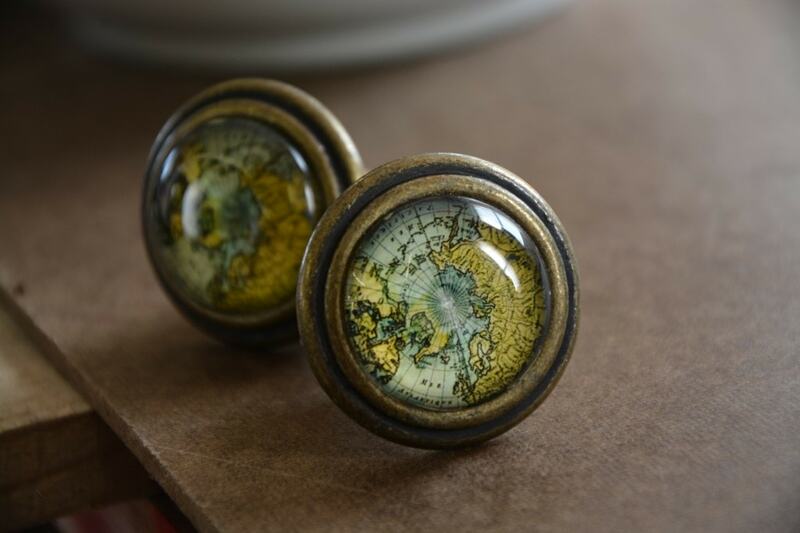 Those map knobs are so cool. I love those great finds. What a fun trip. 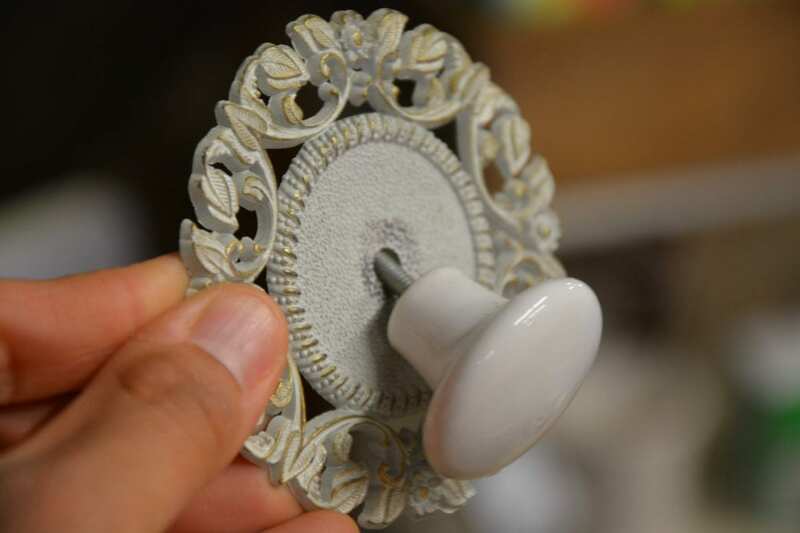 I am in love with those ivory knobs w/the circle backings. Love them. Yes, I love HOMETALK, I get lots of great feedback and it’s a great interactive social media to get inspiration and feedback. I spend more time there then on Pinterest. Anna, yeah, I think Hometalk is a bit more “grounded” if that makes sense. First of all, people are posting multiple pics of their projects, not just one single pic like with Pinterest. The way that Pinterest is laid off, there are too many “shiny and pretty” things all over the page, and your eye is just scattered everywhere! It’s a bit distracting. Hometalk I feel is a more “serious” DIY site, where you can sit back and get intimate with the post rather than skirt around 10million posts on one Pinterest page, if that makes sense! Love love it all! So ready to get current projects done and get others going! What projects do you have going right now? I’m working on a vintage chair that I *JUST* kind of finished and will be posting probably this weekend, or maybe Monday. I live close to Leesburg. What stores did you visit in Leesburg? I have several favorite thrift stores in the area. I love your blog. OOooh, Tammy, two of the places were in Leesburg! 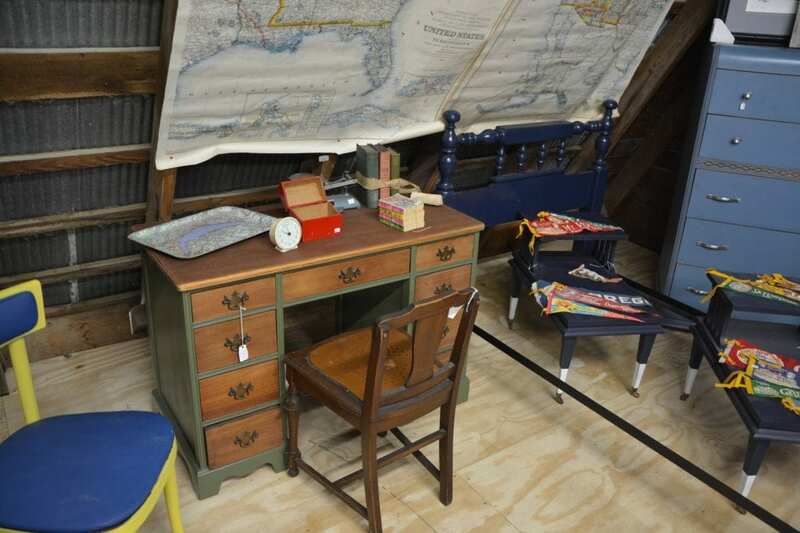 The Old Luckett’s store is there in Leesburg, and On a Whim is there, too. I actually thought both places were fabulous. 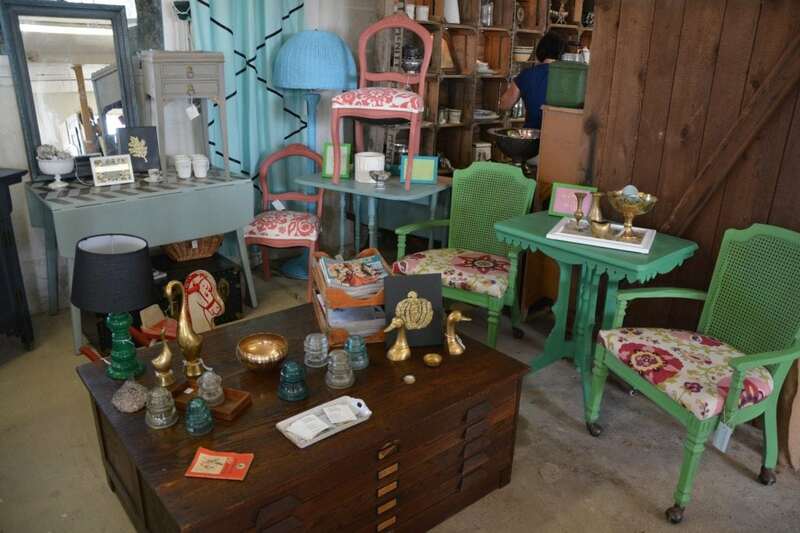 What are your favorite places to thrift dive in Leesburg? I’m going to come back there in the next month (I’m just in Silver Spring), and I will check out your thrift recommendations! Email me if you’ve prefer: thriftdiving at gmail dot come. Enjoyed your blog and reading about your fabulous day. Happy to see you went to On A Whim in Leesburg(Lucketts) I didn’t see any pics on your post of On A Whim, but happy you visited and enjoyed it. Hope you come again, especially for our Christmas Open House, November 4th through 6th. It is especially beautiful during the holidays. OMG! So Jealous. I so wish we had places like this in San Antonio. Are you sure they don’t exist?! Okay, I just did a search for “Barn Sales San Antonio” and this place came up. Doesn’t look like it’s thrift or anything, but cheap prices? Have you ever been there? Yeah the Bargain Barn is a big warehouse painted red on the side of the freeway. They sell all new items. If you have ever see the catalog ABC Distributing, that is what they sell. 🙁 We went out to our deer lease yesterday to do some dove hunting and we took a different route. 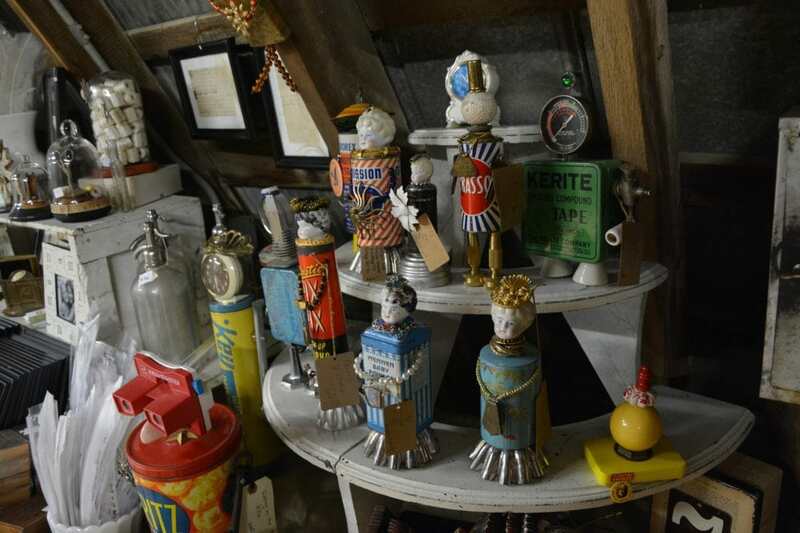 I found a little antique village/flea market that I hope to check out one day. Hey Kris! 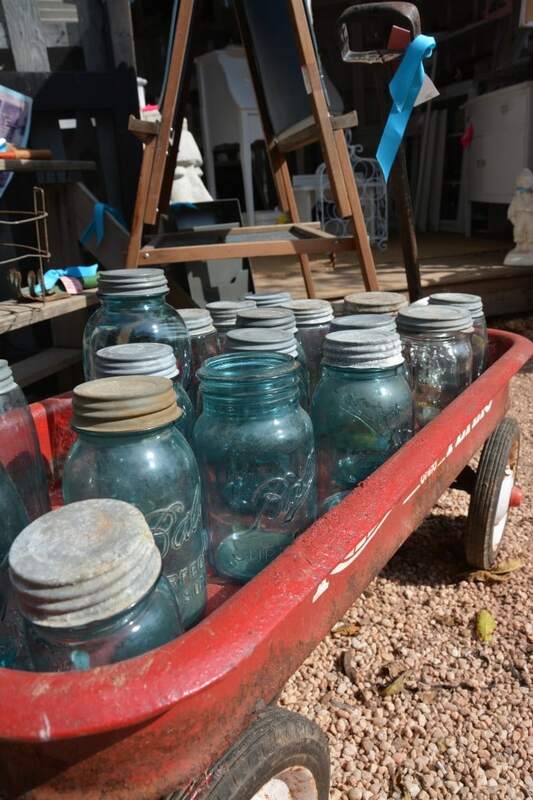 Just did another search for you, and it looks like there is a huge barn sale just about an hour outside of San Antonio! WOOT WOOT! Here’s the link to what I found. Happy Barn Sailing! You crack me up! I love it. Thank you for finding these. I love Lucketts!! 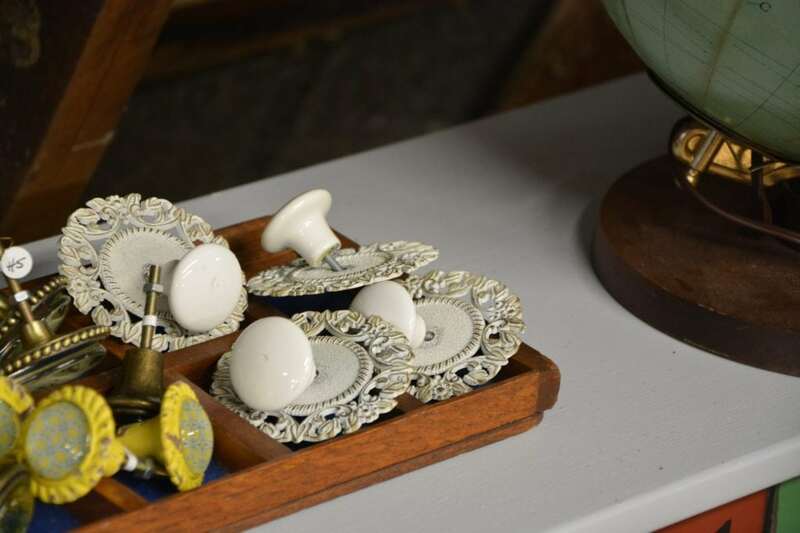 The knobs you found we’re really neat, can’t wait to see what you do with them!! Jodi, I can’t believe that I had never found that place! It’s totally amazing and fun to spend all day just browsing and seeing what you can come up with! But you gotta take some cash, because everything is pricey. That’s the only downside!